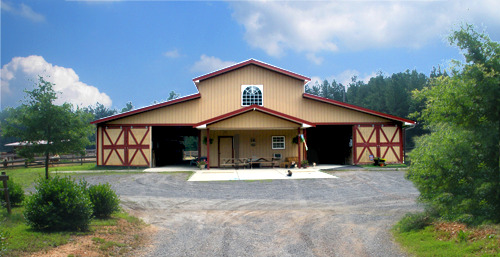 A 20 stall barn with large 12×12 stalls with stall mats in each, two tack rooms, a wash bay area with hot and cold water. 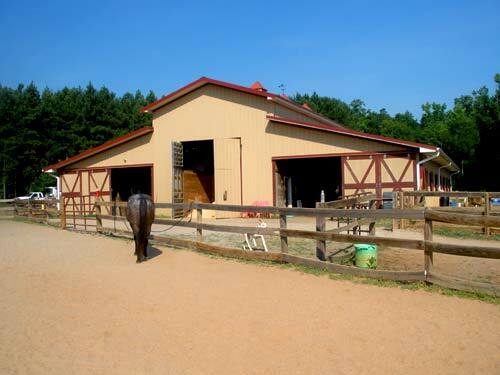 A 220’ x 140’ riding area with outdoor lights and multipurpose footing. Covered arena coming in Spring 2017. Our horses are grouped in small groups of 6-8 when turned out. Plenty of trailer parking space. We have many miles of trails on our property as well as in the surrounding area, so you do not have to own a trailer to enjoy a nice trail ride! All disciplines are welcome.